It elucidates the theoretical and technical view of cryptography and exemplifies that establishment and maintenance of security within the frame work of cryptography. It explains about various techniques that are applicable to electronic voting, digital rights, financial portfolio, auctions and routing networks. 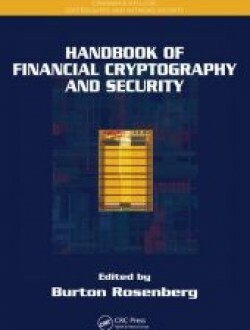 The book starts with the information about the cryptography techniques of digital cash and blind signatures. It explains about the important role of these techniques in the auctions and electronic voting and its properties that are essential for system implementing value exchange and explore about the methods used due to which selected receivers can decrypt signals transform to everyone. In the later section of the book focus has been given on lowering transaction costs to enable the commerce to reach at sub penny level. It also highlights about the challenge of a system solution for the safety of intellectual property if there cryptography has not been applied for the financial exchanges and the markets. Even it has nailed on the complex issues of phishing and anonymity along with the privacy of the objects and users. Last section focuses on the human factors with the explanation about impact of laws and regulations on the financial cryptography. This book provides guidance about the real world issues about security and detailed knowledge about the financial cryptography.